Allie the intern takes us through a step by step on how to twist, twirl and slide our pins + sticks into those locks. Allie has thick, long hair (about 1.5" diameter tight ponytail) but the same process applies to all thicknesses. 1. 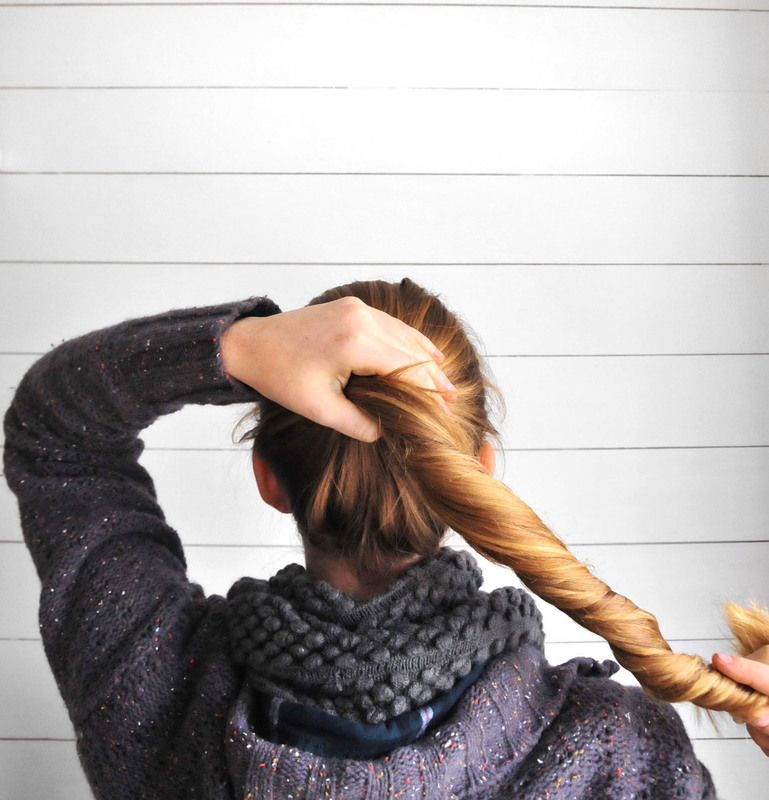 Gather your locks and twist into a long ponytail. 2. Twirl into a soft yet tight, rounded bun and hold. 3. 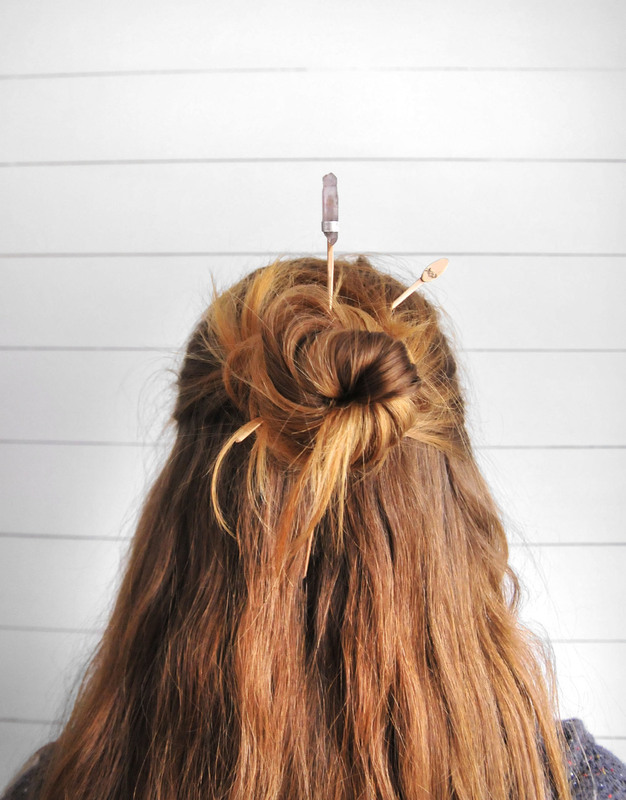 At the top of your bun, (or at 12'o clock), weave a hair stick (or hairpin) from top to bottom so it feels snug but not pulling too tightly. 4. Take a second hair stick and at 2-3 o'clock, repeat with the weaving pattern. Adjust both ends of the sticks to feel balanced in how far they stick out from the bun. The second pin should feel tight and secure. 5. Slightly spread center of bun with fingertips for a more relaxed look. The bun should feel gently snug, but not pulling too tightly. Play around with it a few times until you get the feel for it, you'll know when you get it. Use the same steps from the messy bun how-to but start with a half ponytail instead of full ponytail. The half bun is a little trickier since there's less hair for the pins to hold. Play around with it and you'll get it in no time! And again, the same steps as before will work perfectly for using a hairpin. Simply create your bun and gently weave the hair pin back and forth throughout the bun until it feels snug. 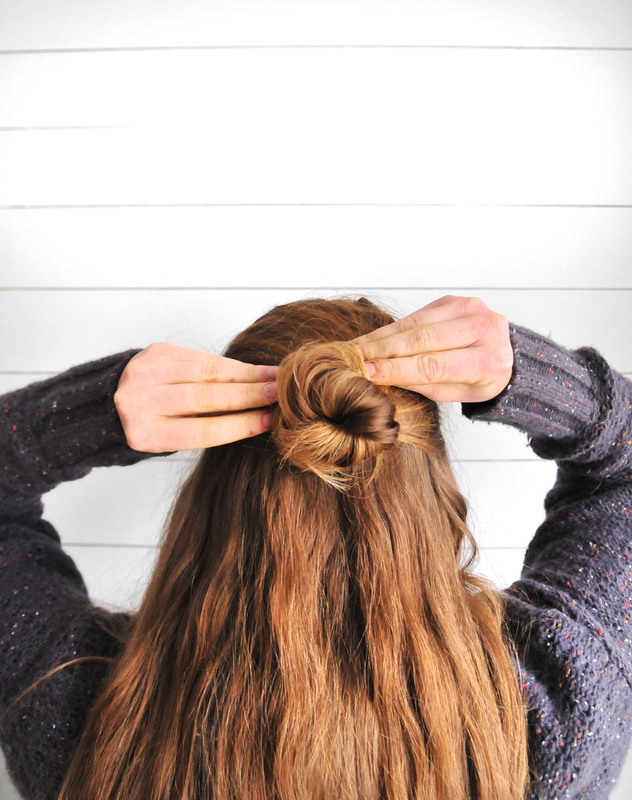 You can also use this same method for a french twist instead of a bun. Position your hairpin at either 12 o'clock or 2 o'clock and weave it through the hair. Best of luck with your locks!